It could be argued that mankind is currently doing unprecedented damage to the earth. The alarming reports of global warming, deforestation and damage to the ozone layer, it is enough to worry any conscientious person. You might ask yourself, “…What can I do to help our situation”. While the Earth’s problems as a whole may be overwhelming, the truth is that we can do our part. Recycling is a key part of maintaining the environment. It is also something we can help with on a personal level. 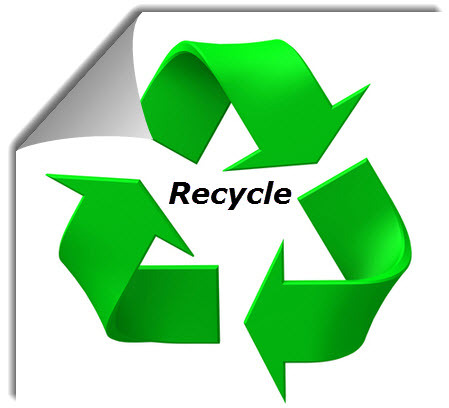 Let’s take a look at some of the reasons why it is beneficial to recycle. If you have ever taken a trip to your local landfill site I can guarantee it was not a pretty sight. Unfortunately, we live in a consumer society. Billions of people worldwide use non-biodegradable products and dispose of them liberally after use. The result is that this “trash” finds it way to the local landfill site, where copious amounts of methane emissions are produced. Recycling can directly help to reduce the size and number of landfill sites. Regrettably, the world’s resources are also depleting. For example, the World Wild Life (WWF) Foundation reports that every year 46-58 square miles of forest are destroyed each year. By recycling we can conserve these precious resources that are crucial to future life. It is also argued that re-using recyclable products in manufacturing plants can significantly reduce energy emissions. A lot of energy is wasted in processing raw material into a useable product. Whereas, using recycled material reduces processing time and, in turn reduces energy emissions. Where can you get started? One great aspect about recycling is that most developed countries have a recycling program in place already. While many may not utilize these services, the reality is that if people educate themselves about their local recycling provisions it can be very easy to get started. Another aspect in which any homeowner can start recycling is with a simple compost setup. It is easy to see that recycling is a key part of healthy community living. After all, we only have one planet earth, why not look after it?